Work shall begin on the Apollo Towers Elevators on or before March 1, 2019. Please be considerate of your neighbors and especially those who are less mobile. We will only have one elevator running for the 9 to 12 weeks necessary to complete the project. Phase 2 of the project will require the freight elevator to be inoperable for the final 4 to 6 weeks of the project. Our new offices located at the south entrance of Apollo Towers will be opeN at 10 a.m. March 1, 2019. With the new offices will come several changes you need to be aware of. Our administrative staff have much work to do so please respect their time. Thank you! The Clay County Recycling and Landfill delivered trash containers to the new fenced recycling area at the north border of the Apollo Towers parking lot. 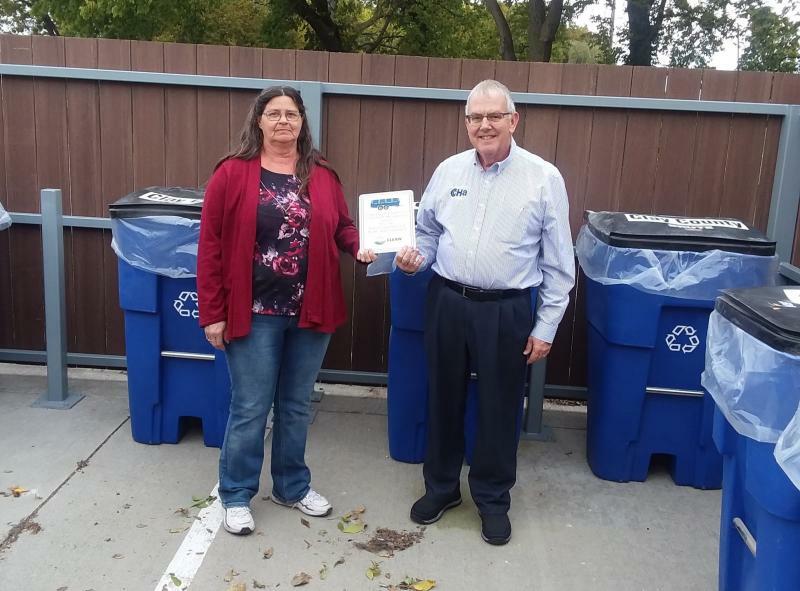 Rhonda Carroll, manager of the Recycling and Landfill applied for a Solid Waste Management Grant from the Kansas Department of Health and Environment to leverage the purchase of the dumpsters and the Housing Authority paid for the construction of the storage area. Parkview Plaza Apartments, LP is happy to announce the approval of allocations of Low Income Housing Tax Credits from the Kansas Housing Resources Corporation. Clay Center Affordable Housing, Inc., a subsidiary of Clay Center Housing Authority is the lead developer along with TTG Clay Center, Inc. The two entities make up the ownership of the General Partner, Parkview Plaza, GP, LLC. John Kaul, Executive Director of Clay Center Affordable Housing, Inc. will be leading the development team in completing the preservation project. The funding for the project is $6,217,724. Projected project completion will be in 2020. The developers will bring in equity for the project by selling their tax credits to investors who will use the credits to offset their federal income tax liability. The development team will be scheduling a meeting in July to begin planning for the project. At that time we will have an informational meeting for the tenants of Parkview Plaza Apartments.